It can be a parent’s most frequent nightmare – a childhood fever. Our brain tells us to be rational. After all, a fever is merely a symptom that our body is fighting off an infection. However, our heart usually tells us something quite different. Watching a child battle a fever can be troublesome and nerve-wracking. Fevers are quite common among children. A fever is defined as simply a high temperature and is a very normal biological response to many illnesses. The most common of these is an infection in the body. In itself, fever is usually not particularly harmful. In fact, it generally assists the body’s natural immune system fight off the infection. When your child’s temperature exceeds 38°C on a thermometer that’s a clear indicator that they have a fever. What Devices Are Available To Take Temperatures? Apply plastic tape thermometer to the forehead. Some thermometers are more suitable to a specific age group. Always read the manufacturer’s instructions. Follow their directions to ensure an accurate reading. If in doubt, ask your GP or pharmacist to show you how to use your thermometer. Most supermarkets stock standard digital or mercury thermometers. Chemists carry a range of alternative types of thermometers. What Is A Normal Temperature And What Is High? A normal temperature is around 37°C. Temperatures vary a little during the day. A virus, or occasionally bacteria, are the most common causes of infections. These in turn cause fevers. Antibiotics are only effective against bacterial infections. Antibiotics don’t work on viruses. Give your child frequent small drinks and ensure they stay hydrated. For babies under six months old, increasing your breastfeeding, formula bottles or cold boiled water may help. Give your child paracetamol or ibuprofen if their fever is accentuating their symptoms. However, do not give ibuprofen to babies under three months old or to a dehydrated child. Help your child to cool down by sponging your child’s forehead with a damp face washer. Don’t allow your child to get cold. If your child is shivering, add another blanket or clothing layer until they stop. Watch your child for signs that their illness is worsening. 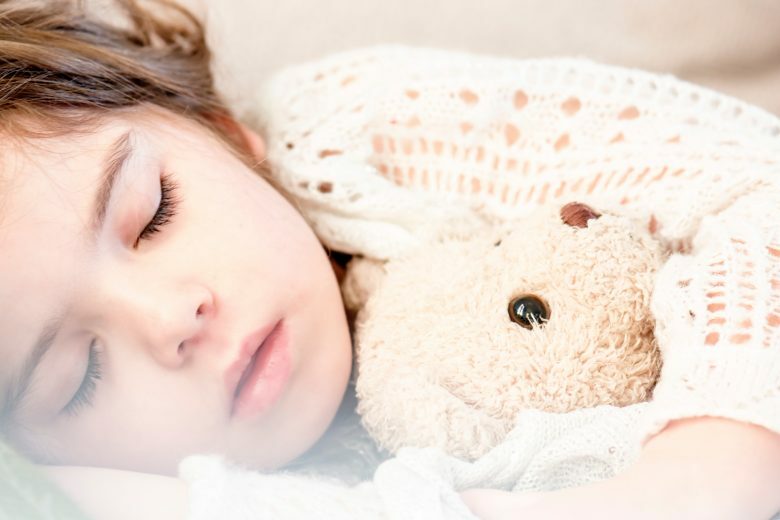 If you’re concerned about your child’s fever or want to learn more about fevers, we invite you to come and meet with one of our GPs at Integrated Medical Solutions Group (IMSG). Here at IMSG, we aim to deliver high standards of patient care, by integrating a holistic approach to promoting wellness and disease prevention to our patients. No, you’re not imagining it – children in daycare do tend to get sick more often. While toddlers aren’t usually great at sharing toys (does the word “mine!” sound familiar? ), they do excel at sharing germs and other nasties. They haven’t yet had a chance to build up their immunity. In a shared space such as a daycare setting, there is plenty of potential for sickness to spread even with the most stringent health care practices, primarily because many illnesses are most contagious before the child actually exhibits any symptoms. Saliva – Whether it’s giving sloppy kisses or slobbering on the top rail of their cots, to coughing and sneezing, infants and small children are generous with their saliva! Direct contact – Small children tend to be very touchy-feely, with little concept of personal space, thus allowing contagion to spread. Faeces – The constant handling of nappies, when combined with potty training (including the inevitable little accidents) in a daycare situation, increases the risk of contamination from microscopic faecal particles. And yet, daycare is a fact of life for most Australian families, with over a third of under-fives in licensed child care. Not only can daycare foster your child’s physical, mental and social development, but it also allows parents to work and financially support their families. after toileting and nappy changes. Most common childhood illnesses are best treated with rest and fluids, over the counter medications such as paracetamol, and some TLC from mum or dad. Respiratory Tract Infections – A sore throat, coughing, sneezing, and a blocked or runny nose indicate a respiratory tract infection, such as the common cold. The use of a humidifier may help relieve symptoms and allow more restful sleep. If your child has any problems with their breathing or if their symptoms last more than a couple of days seek a GP review. Gastroenteritis – Tummy bugs can be extremely unpleasant for all involved, causing nausea, diarrhea and/or vomiting. Children can become dehydrated extremely quickly, so it’s important to keep their fluid levels up or to see a doctor if they are unable to keep anything down. Parasites – Head lice and worms top the list, causing irritation and itchiness – from top (with head lice) to bottom (worms). Worms can cause sleep disturbances, irritability, and cause your child to feel off colour. A one-off treatment from your pharmacy should be administered to all family members even if they do not have symptoms, and sheets, towels etc should all be laundered. In the case of head lice and nits (their eggs), special shampoos and other treatments are available from a pharmacy, although the tried and true method of combing them out with the help of plenty of conditioner, is hard to beat. Frequent illness is a normal part of life when there is a small child in your family. However, if you have any specific concerns or your child does not appear to be getting any better after a reasonable amount of time has passed, you can book an appointment with a doctor at any of our Brisbane north locations. There are many different causes of rashes in children. If your child is otherwise well, your pharmacist can often give advice with things like ringworm and eczema treatments. If your child has a fever and is unwell with a rash it is best to keep them off school/daycare and seek a doctor review.